The mother lode, to which vast stores of cacáo grown around the world today can be traced. Roughly 100 million years, 3 million square miles, & over 1,000 tributaries form the Amazon River basin of what appears from an orbiting satellite to be dense, contiguous geography, stretching the upper headwaters of the snow-capped Andes Mountains in western South America to the Atlantic Ocean on the east coast. 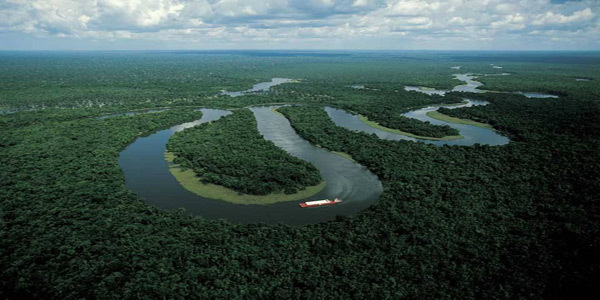 The life-force of it all – the Amazon River itself – flows 4,000 miles, its width ranging from as narrow as 1 mile to as wide as 35. Only the Nile in Egypt my run longer but the Amazon is the most voluminous river on Earth. In total, the basin holds a fifth of the world’s fresh-water. 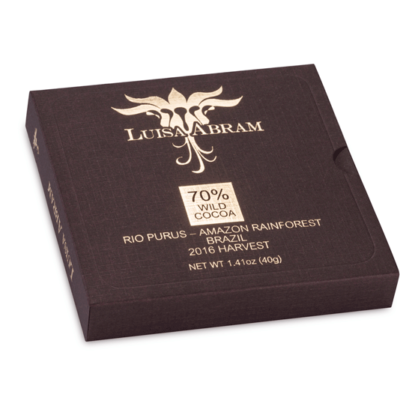 Some say Francisco de Orellana was in search of gold & the lost city of El Dorado; others that he was seeking the “Land of Cinnamon”. Wherever his intended destination, he never once mentioned cacáo on his way to becoming the first European to navigate the river’s entire length, then named it such because his party supposedly came under attack from fierce female warriors, like those mythical creatures called the Amazons, at the confluence of the Rio Trombetas. Looks can be deceiving, however, for the Amazon turns out to be less wild than surface appearances suggest. Among his crew was Dominican missionary Gaspar de Carvajal whose chronicle was largely discredited until recent findings confirmed a vast & sprawling network of community settlements without a city center – essentially the L.A. of its day – inhabited by residents living along the river’s bank who managed the rainforest like a garden-farm thanks to their ingenious anthropogenic terra preta do indio (Portuguese for “dark-earth”) which turned infertile land into fertile self-renewing soil, making the area abundant for large scale agriculture needed to support dense populations & even complex societies that, alas, perished to epidemics of smallpox, measles & influenza during contact with the Spaniards, then decimated further by slave raids. All the pure pristine nature inhabited by small “Stone Age tribes” & “primordial wildlife” that continues to grip our collective imagination – fantasized recently in a Rolling Stone article of an existence “unchanged since the dawn of time” – is largely secondary forest overgrown atop a civilization that lived here for at least 1,500 years. The groundbreaking work of Michael J. Heckenberger among the Kuikuro indigenistas of Brazil’s Xingu Reserve unveils this terra incognito hidden under the forest canopy. In a rarity for the modern age, the Kuikuro have retained the full breadth of their culture – language, rituals, arts, & economy. Heckenberger’s Amazonia 1492: Pristine Forest or Cultural Parkland reads as a sequel to Charles C. Mann’s 1491: New Revelations of the Americas before Columbus. He shows that the ways of the Kuikuro, their organized settlements, gardens, fields, & orchards create a rich biodiversity using soil-enrichment techniques, long crop rotation cycles & a generalized forest management that form a direct link to their ancestors. Evidence of ancient earthworks tells their story, & how humans helped shape the rain forest by design. Kuhikugu, the largest pre-Columbian settlement yet uncovered in the Amazon, served as the hub of a radial trade network interconnected by carefully aligned roads the width of modern freeways transecting the jungle with raised causeways or overpasses, bridges & canals. In precise plots they reworked the terrain, digging a vast irrigation system, growing manioc, harvesting pequi fruit trees, & collecting sapé grass to build their thatch houses. Artificial ponds & weirs in the wetlands signal fish farming. 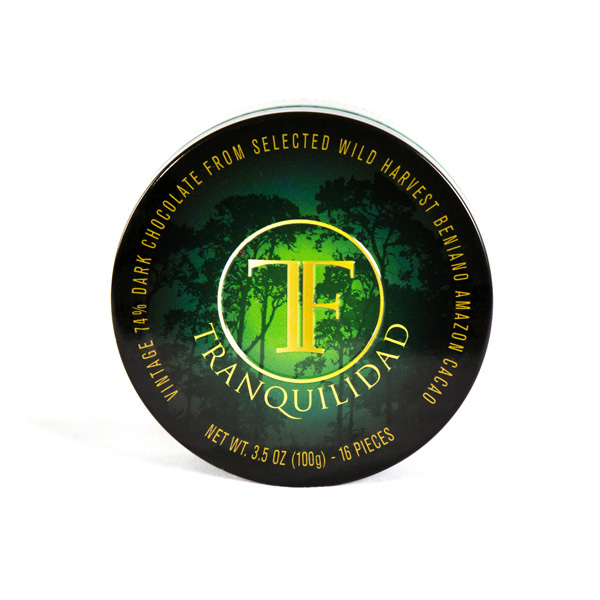 Outside the main population zones, they foraged into the deep forest for animals, medicinal plants & spirit worship. These societies practiced composting & recycling, controlled burning of vegetative cover for soil enrichment, making it darker & loamy. The size of each village palisade, & the sum of these population clusters, integrated close together into larger political units numbering 30,000 to 50,000, totaled perhaps as many as 10 million in all, compared to maybe 200,000 who inhabit the Amazon today. In other words, Carvajal was telling the truth. Theirs represent one model of land-use – a green proto-urbanism – ripe with advanced techniques for sustainable agro-forestry. It could be instructive in the 21st century & beyond in how we mold & redevelop transitional rainforests that face increasing pressure, impinged upon from all sides for fleeting profits by clear-cutting at the hands of loggers’ chain saws (often just to build coffins for the developed countries that end up buried); mining & drilling rigs (some of them illegal); soy bean farming; & cattle grazing (for steak dinners); all of it with acquiescent governments standing by, to satisfy a planet craving ever more resources as it expands to 9 billion or more people by mid century. Aside from the flora, fauna are also extractable with big financial gains to be had in the trade of wild animals. Under the guise “rescue & rehab”, animals wounded in the wild can then be sold on international black markets, especially those of high “cute factors” – monkeys & birds. Who can resist that? Sometimes they’re really hurt; more often they’re stolen from their mother by killing her. Either way, the trade presents health problems as transmission of disease goes both ways between humans & other creatures since we’re all part of the animal kingdom. Estimates run that at current rates of destruction, deforestation will wipe out the Amazon in a matter of decades, & with it perhaps, the priceless knowledge of people who possess libraries of it. In sum, we’re having difficulty seeing the forest for the trees. Eradication of the Amazon is, in all likelihood, inevitable. Forest dwellers are a vanishing breed as their young continue to shun traditional ways for the lure of urban confines. Those who remain, especially leaders, are targeted by commercial interests seeking to eliminate them (re: murder) as a barrier to development. Landowners are often too opportunistic, & campesinos (peasant-turned-poachers) too poor, to be moral about any romantic notion of ‘saving the rainforest’. The mission may be a noble one, yet only glimmers of hope remain. Just as humans can destroy tropical forests, the Kuikuro prove we can also enhance them thru intelligent intervention. Left on its own, climbing vines, trees & wildlife will re-colonize the forest as it did for centuries after Columbus’ arrival, & will cover over the scars carved into it by industrialization & whatever we heap upon it. Many prescription drugs come from plant-derived sources. A quarter of all pharmaceuticals have roots in the rainforest. Yet less than 1% of tropical trees & plants have ever been tested by scientists. When a medicine man dies without passing his arts on to the next generation, the world loses eons of irreplaceable knowledge on medicinal plants – the equivalent of burning down a library. Also consider that much of the world’s diet originated in tropical rainforests. Its bounty has gifted innumerable fruits: avocados, coconuts, figs, oranges, lemons, grapefruit, bananas, guavas, pineapples, mangos & tomatoes; countless vegetables… corn, potatoes, rice, squash & yams; spices galore starting with black pepper, cayenne, cinnamon, cloves, ginger, sugar cane, tumeric, vanilla. Nuts too, including Brazil nuts & cashews. And, of course, chocolate. What would the world be without it? Incredibly, 3000+ different fruits grow in the rainforests. Of these, maybe 200 appear on tables in the “First-World”. Compare that to Amerindian forest-dwellers who eat over 2,000. The combined real as well as intangible economics suggest, however, that medicinal plants, fruits, nuts, oils & other resources like rubber, chicle & cacáo harvested sustainably has higher net worth both in current asset value AND long-term income streams, year-after-year for generations to come, while still protecting the forest. Added bonus: wild-harvesting generates wealth creation for forest people rather than speculators or settlers, not to mention that the Amazon earned its moniker – ‘Lungs of the Planet’ – because it continuously recycles carbon dioxide into oxygen, producing some 20% of all oxygen on Earth, a huge global dividend. Managed properly, the rainforest can provide the world’s need for these natural resources on a perpetual basis in a similar dynamic to living off the interest while maintaining the principle in a savings account. A winning trifecta – financially, environmentally & morally. Now, a new movement is afoot that could dramatically alter the future. One path to rainforest preservation calls for consumer markets of sustainable products that are larger & louder than today’s timber & agribiz lobbies; to incentivize all stake-holders to protect humanity’s resources for long-term gains, rather than short-term windfall. Cooperatives are sprouting up such as Cacauway right on the Trans-Amazonian Highway in Medicilândia, Pará planting thousands of cacáo saplings & hundreds of other trees (mahagony, brazil nut & ipe) in a campaign to help preserve tracts in the Amazon threatened with deforestation. 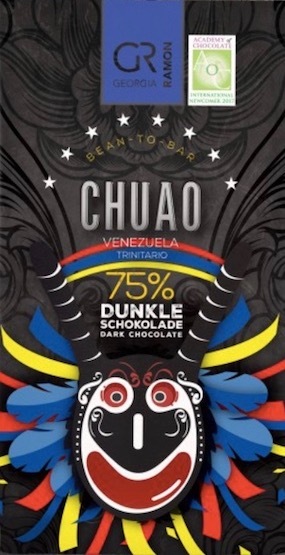 Another, headed up by Darcirio Vronski, of a couple dozen families harvest organic cacáo that finds its way into chocolate bars like Austrian barsmith Josef Zotter. Indeed, another geneticist, Dr. Juan-Carlos Motamayor, classifies Amazon cacáo into umpteen subclusters, named primarily by phylo-geography: Amelonado (in Brazil), Marañon (Brazil/Peru), Curaray (Ecuador), Boliviano (Bolivia), Guiana (Guyane), Contamana, Huallaga, Iquitos, Nanay, & Purús (all Peru) + one pending in the Ucayali valley. The Amazon holds clues that pre-Columbians were gardeners on a supreme scale. Just as the PC – “the Bicycle of the Mind” – revolutionized information & telecom, it points the way to modeling the future for other fields as well. If knowledge is power, then power decentralized into everyone’s laptop & palm device creates more & advanced levels of it (think Wiki). With bio & geo-engineering already manipulating elements with planetary scope, we’re effectively all in the gardening business now. The choice ahead: run roughshod with aggressive technology for dominion over the Earth, or commune in sync with its natural forces & actively manage them to optimum stasis. The difference, say, between a brute Ultimate Fighter vs. an agile martial artist. Decapitas or Communitas? Financial markets learned the wrong lesson from the global meltdown of 2008. Far from banks & investment houses supposedly being ‘too big to fail’, they were too big to succeed except for those invested within a small circle. (Even certain CEOs within their ranks stood dumbfounded.) Same with chocolate. The current system of volume & growth has its benefits… for the few in control of it. An organizing principle infused with a new evolutionary spirit that opens & shortens the supply chain for higher quality returns based on smart biology, estate-grade planting & the understanding that more is not better, better is better… & far more prosperous on manifold levels.